SOUTH HOLLAND, IL – South Suburban College recently hosted their annual Spring Tea Awards to recognize employees’ years of service, retirements, and announce the Faculty Appreciation Awards. 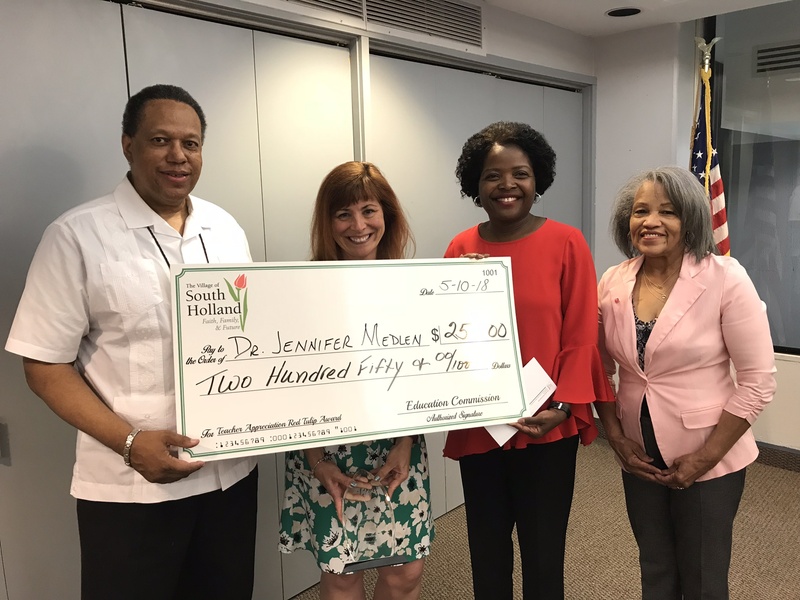 Also at the meeting, SSC’s Dr. Jennifer Medlen was presented with the Village of South Holland’s Red Tulip Award. The award is given to a certified teacher in South Holland, IL who has demonstrated outstanding service by going beyond their daily duties to effectively change student lives. South Suburban College Presents Faculty Awards, Recognizes Retirees.